I was introduced first by youtube gurus about Luuux. Thinking it was a complete scam, I ignored it. However, it brought up to my attention again when I saw the post by Emily from THISWASFOREVER. I "youtubed" it and saw more gurus are reviewing on the website. 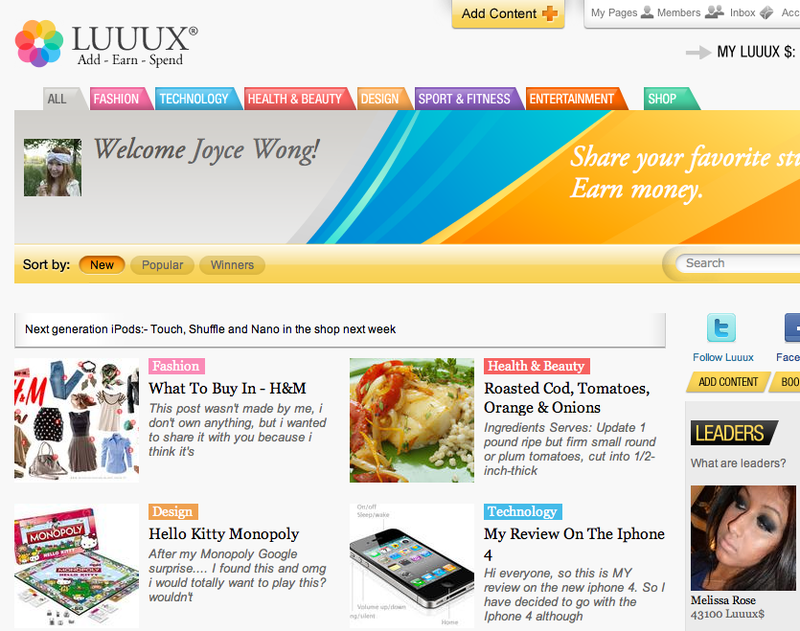 The idea of the site is that you post and earn LUUUX$ and then use those LUUUX$ to purchase goods. I said this to myself too, it sounds too good to be true. But, seeing so many success stories over the internet, I thought, why not. When someone makes a purchase from one of your Shoplinks, plus a percentage of the sales commissions in Luuux $ These sales commissions can really add up! Earn Luuux Just By Sharing And Being On The Site! I can't agree more to what Emily said about LUUUX being really really slow. The time to upload a photo is pretty slow. I'm guessing because there's so many things happening on the server every second.